Neuroscientific research methods have become increasingly popular in music research. 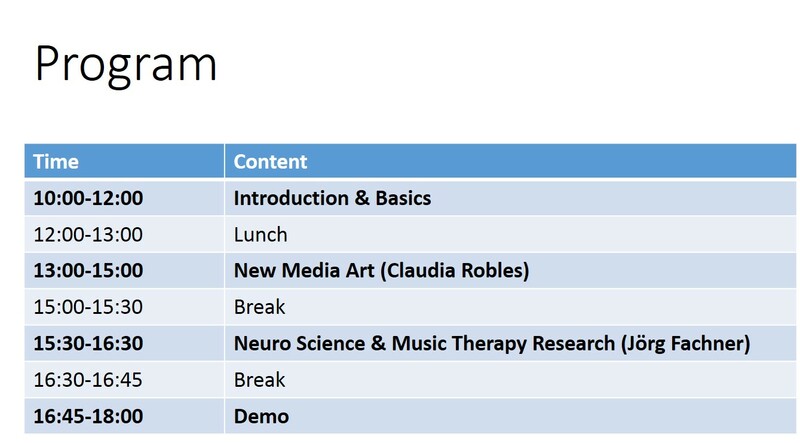 Recent developments in Neuromusicology include two directions. On one hand, music is regarded as a neurocognitive system and its functional mind/brain architecture is investigated. On the other hand, brain signals (as recorded with the electroencephalogram, EEG) are used directly to generate music or more generally artistic interactions. The latter is closely related to the new field of Brain-Computer Interfaces (BCIs), which were originally developed to give severely paralyzed patients the ability to communicate or control devices such as artificial limbs or wheelchairs, but are also used in New Media Art. The area with a special focus on music is called „Brain-Computer Music Interfacing” (BCMI). 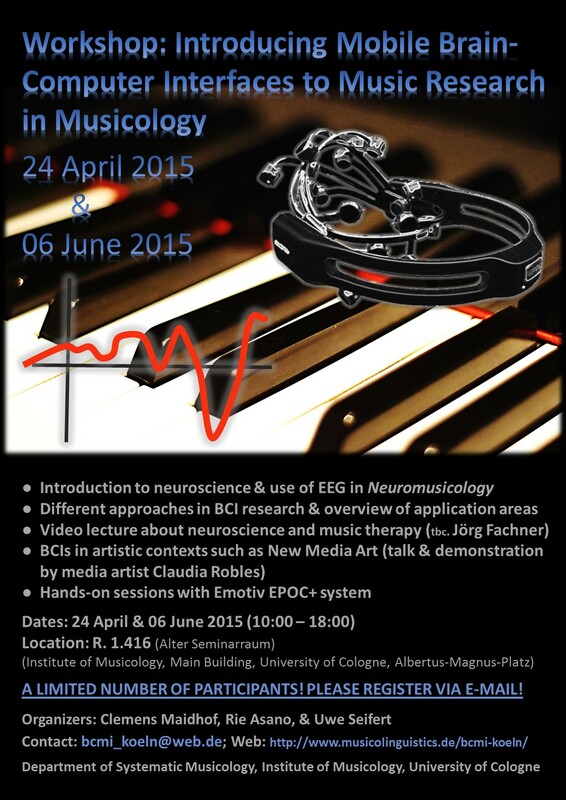 This workshop is the first step towards introducing several fields of neuroscience of music to musicology and integrating them into cognitive musicology in order to understand music as a neurocognitive system.